Johnny Metrics provides the ability to upload your trades via CSV files, or sync with your exchanges using their API. 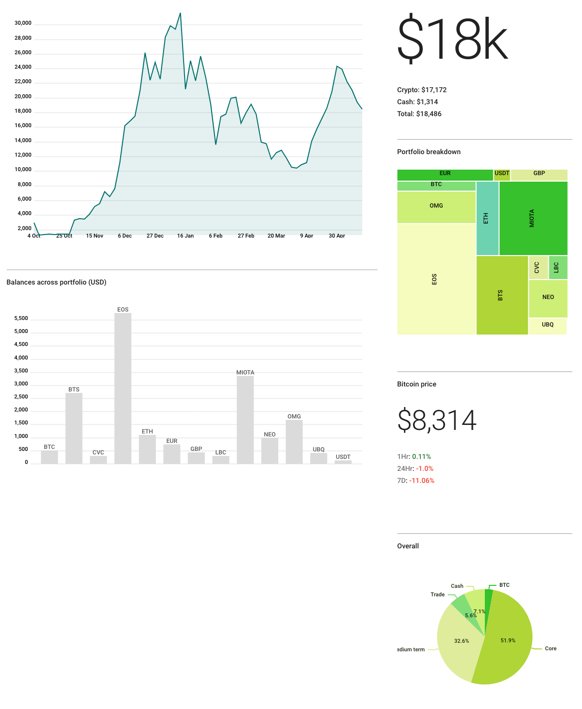 We will analyze your cryptocurrency trades, and present you with simple graphs and tables to easily visualize and manage your portfolio. 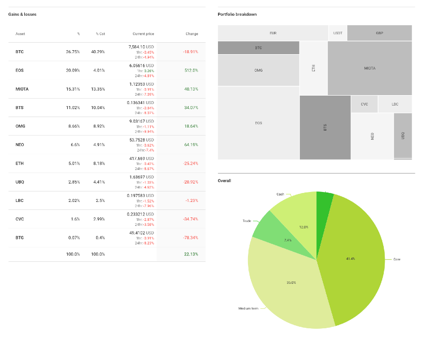 Now you can track your portfolio, and see how you are really doing. We get new prices for all of your assets every 5 minutes, so you can always visualize the current value of your portfolio. We support coins such as Bitcoin, Ethereum, Litecoin, EOS, Ripple, BitShares and thousands more. We use the FIFO method to precisely calculate your realized and unrealized gains on each of your digital coins. 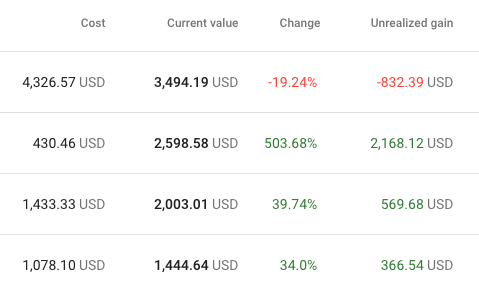 You can also see real-time balances of your entire portfolio. Want to show somebody what coins are in your portfolio, and how well it is performing? Share your portfolio with anybody without disclosing any financial information. You get a 2 month free trial, thereafter it is $8.99/month or $99/year paid via credit card. You can also pay yearly in Bitcoin or Litecoin if you prefer anonymity.